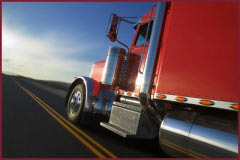 Let me start out by asking one question…..How many of you (meaning truck drivers) that are on the road daily really look around and observe the landscape, as much as you can, to see all the trash that's discarded and among all that debris how many have noticed all the "waste" containers"? In my last article, Long Haulers Recognition, I wanted to give recognition to truck drivers for what they have to go through on a daily basis but for this article I'm going to address the "potty" issue. Now that I've gotten a taste of what truck driving is about and being with my husband (Earl) I started noticing quite a few different factors and one of them just happens to be what truck drivers call, "the piss jugs" (please forgive the expression). I'll refer to them as waste containers. I know that there are times when a driver doesn't have a bathroom accessible and a pop bottle, water bottle or a gallon jug has to fit the bill but what I don't think is proper and is very disgusting (in every sense of the meaning) is for people as well as other drivers to have to see them tossed or laying in parking lots, along side of roads, in rest areas or truck stops. I know for a fact that there are such things as garbage cans in most of these places. For one, as I mentioned a few lines up, is that it's purely disgusting and unsanitary which in turn makes it a bio-hazard. For two, it's littering and that's against the law which includes a nice fine if caught. For me…. I'm not perfect but the way that I walk spiritually (not religious), I've been taught to have respect………let me repeat myself……respect for our Mother Earth. I also have been taught throughout my life the difference between right and wrong so with the discarding of the "waste" containers, by just throwing them where ever, is just plain wrong!!! There are things that all of you, (drivers as well as anyone else) can do to make it better all the way around and the first thing is to carry garbage bags in your trucks and/or vehicles then throw them away at your next stop after using the make-shift toilet or, a suggestion mentioned to me by my sister (Shannel), is to empty the container at your next stop then discard the jug in the garbage can because I think that we can all agree that the maintenance personnel shouldn't have to handle all of those filled jugs. Reason being is that the urine in those containers can become toxic over time through the bacteria that is formed within the containers. That way people that have the job of cleaning up the areas in which they're placed ever so carelessly won't have to deal with your "waste". This applies to any kind of garbage for anyone, not just truckers. "What's it going to hurt for you to have your containers in your trucks for a few until you can discard it properly?" I'm not just pin-pointing truck drivers, I'm trying to get people to notice their actions and try to correct what's wrong, which means, in my opinion, the ones that are the guiltiest regarding the "dumping" of waste bottles just happens to be truck drivers. My husband has pointed this out to me on numerous occasions due to the fact that he's been a driver for 16+ years and has seen this way too many times. Truck driving is an honorable profession and I believe that all drivers (men & women) should have an honorable mentality regarding their careers and enough respect and consideration for those around them to not subject anyone to their disrespectful behavior. Women drivers aren't the same as men (especially where the "plumbing" is concerned) and we usually have to wait for the next stop for our "potty break" but if we can't….I know that a large cup or coffee can with a lid will do the trick, then we dispose of it at properly at our next stop. I feel that if everyone would stop throwing garbage away along highways, in parking lots and on others properties, we would all start to feel better and have more respect for one another and in that have respect for ourselves regarding a cleaner place to live. Can't we all just get along?..... (lol). Now with that being said……..I would like everyone out there to know that I'm saying my prayers for each of you and wish you safe and happy journeys.